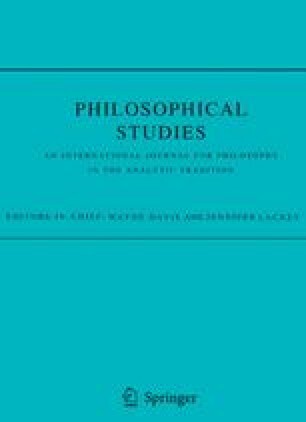 This paper offers and analysis of Ernest Sosa's Virtue Perspectivism.Although Sosa has been credited with fathering the influentialcontemporary movement known as Virtue Epistemology, I argue that Sosaimprudently abandons the reliabilist-based insights of VirtueEpistemology in favor of a reflection-based, ``perspectival'' view.Sosa's mixed allegiance to reliabilist-based and reflection-based viewsof knowledge, in fact, leads to an unwelcome tension in his thoughtwhich can be relieved by recognizing that his reflection-based view isin fact an account of the cognitive state of understanding,rather than an account of knowledge. Sosa makes mattersdifficult for himself because he expects too much, as it were, from theconcept of knowledge, and in the process burdens his view with elementsof reflection it does not require. To solve the problem, I suggest thatSosa needs to develop a two-tiered epistemology whichrecognizes that knowledge, on the one hand, and understanding, on theother, both have necessary and sufficient conditions unique tothemselves.